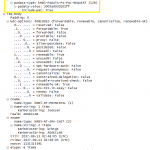 This post shows the packet captures I performed using WireShark on the Domain Controllers during stage 1 and stage 2 of the attack. 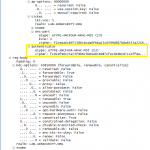 .The Python script performs a TGT request (Kerberos Authentication Service Request aka AS-REQ) and instead of requesting a TGT with a PAC (default AS-REQ), PyKEK requests a TGT with no PAC from the Domain Controller. 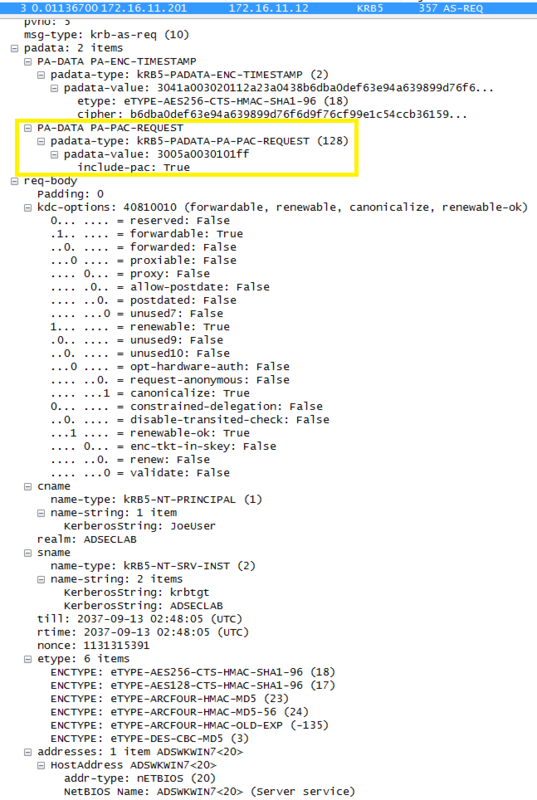 Stage 1 Packet #1: TGT request (AS-REQ) with no PAC. NOTE: The AS-REQ for the TGT requests a TGT with no PAC. 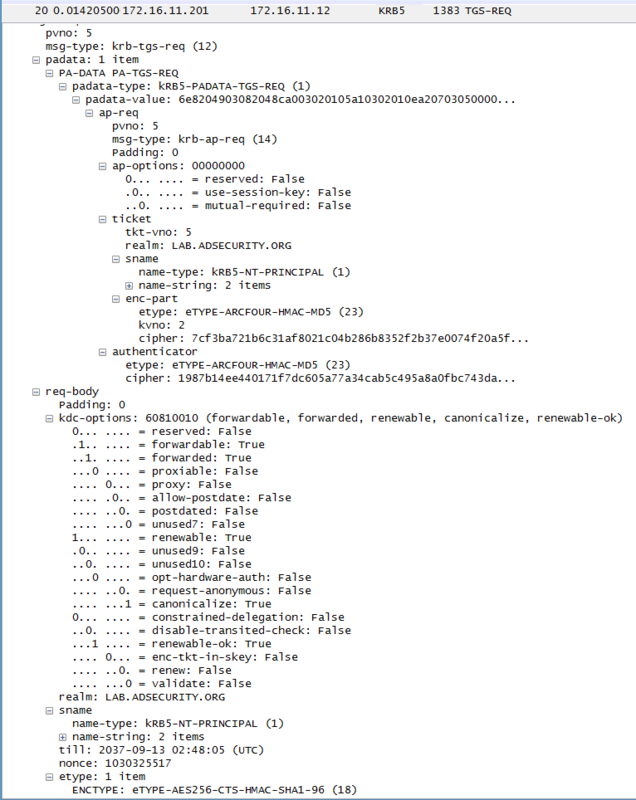 This may be useful for creating a Snort signature to detect attempted MS14-068 exploitation on the network. 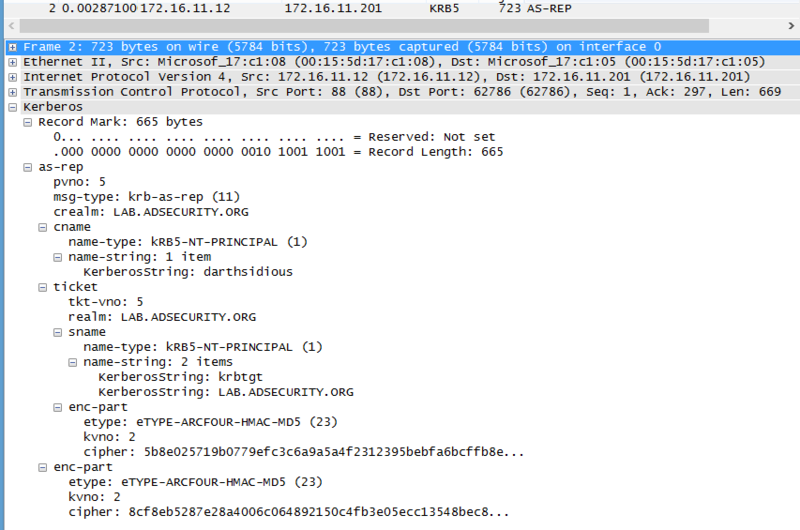 Stage 1 Packet #2: TGT Response (AS-REP) which returns the KDC encrypted TGT to the client. Stage 1 Packet #3: The TGS request notes no PAC should be included and there is an authenticator provided (the generated PAC). NOTE: The TGS-REQ provides the PAC as part of the request (though no PAC is requested). 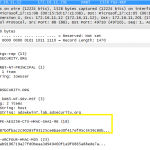 This can be used to create an IDS signature to detect attempted MS14-068 exploitation on the network. 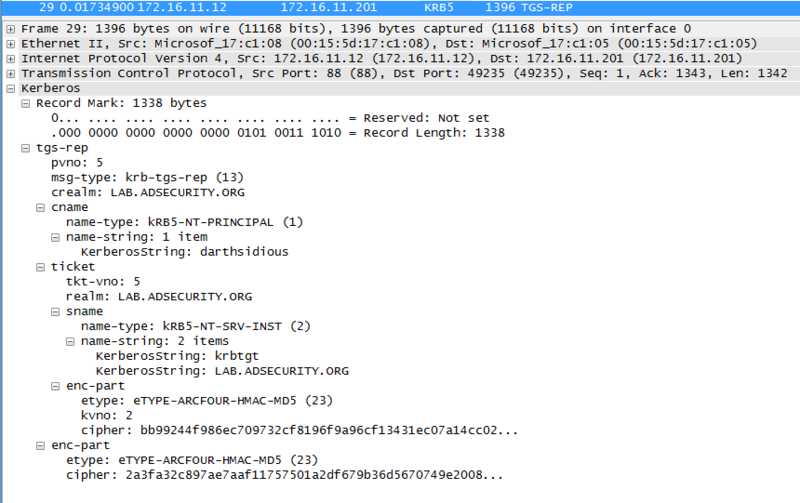 Stage 1 Packet #4: The TGS response includes the new TGT which uses MD5 (unkeyed). 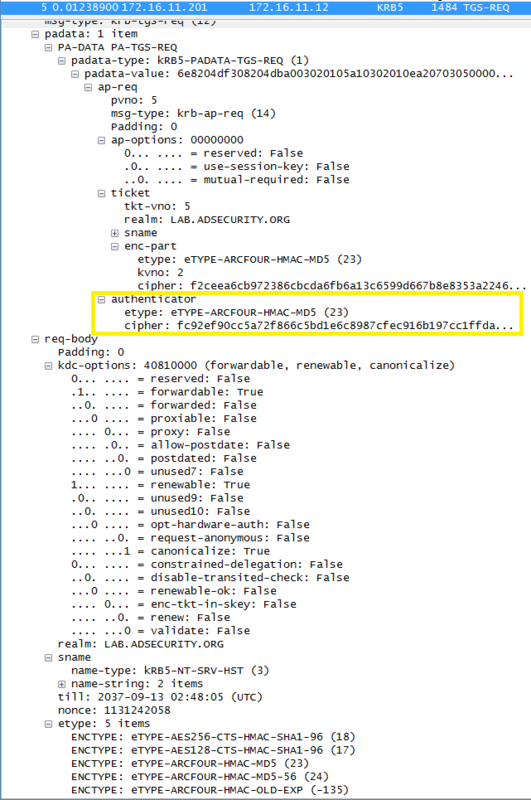 Compare this with a TGS response (TGS-REP) from a Windows client (Windows 7) in which the ticket component contains an “enc-part” with the etype: “eTYPE-AES256-CTS-HMAC-SHA1-96 (18)” which is a keyed SHA1 hash. Stage 1 is now complete with a forged TGT. This stage leverages Mimikatz to clear the existing Kerberos tickets in memory for the current user and places the TGT created in Stage 1 into memory for use. 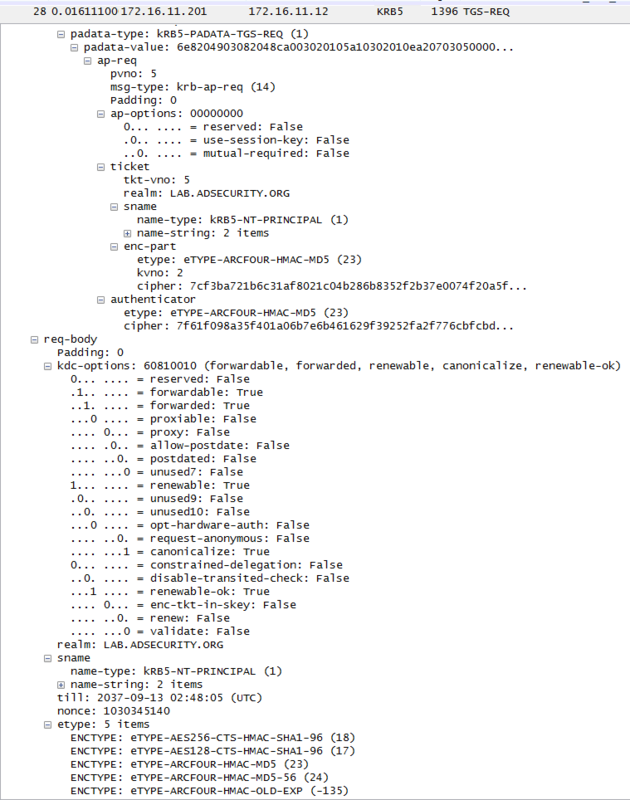 At this point, the user can connect to the unpatched DC with full admin credentials. 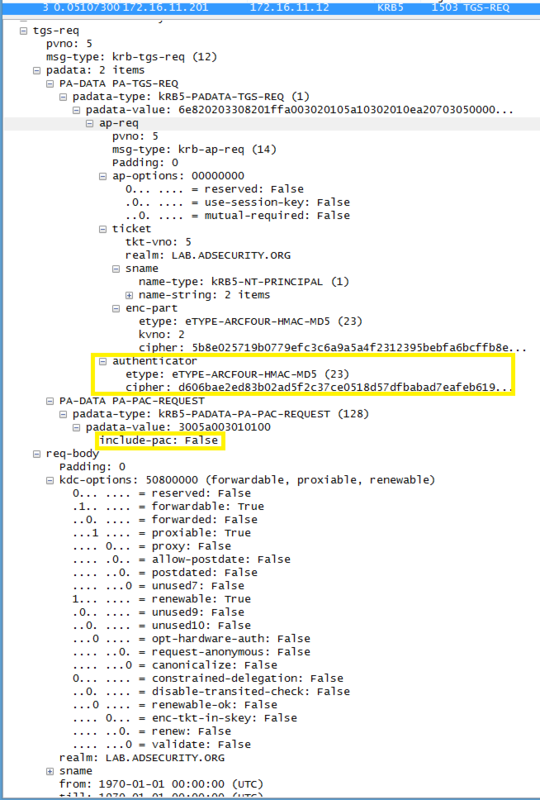 The act of attempting to connect to the Admin$ share on the DC generates a TGS-REQ and resulting TGS-REP (with a KRB-ERR mixed in for spice). 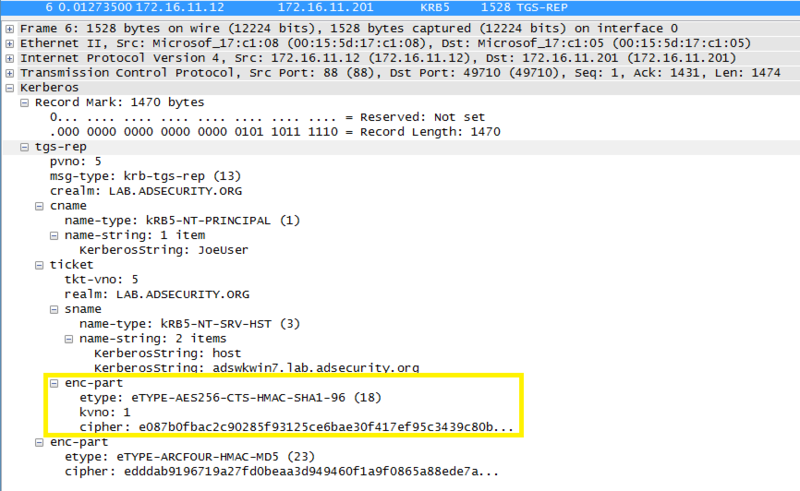 Stage 2 Packet #1: The first TGS-REQ for the Admin$ share on the DC using the forged TGT. 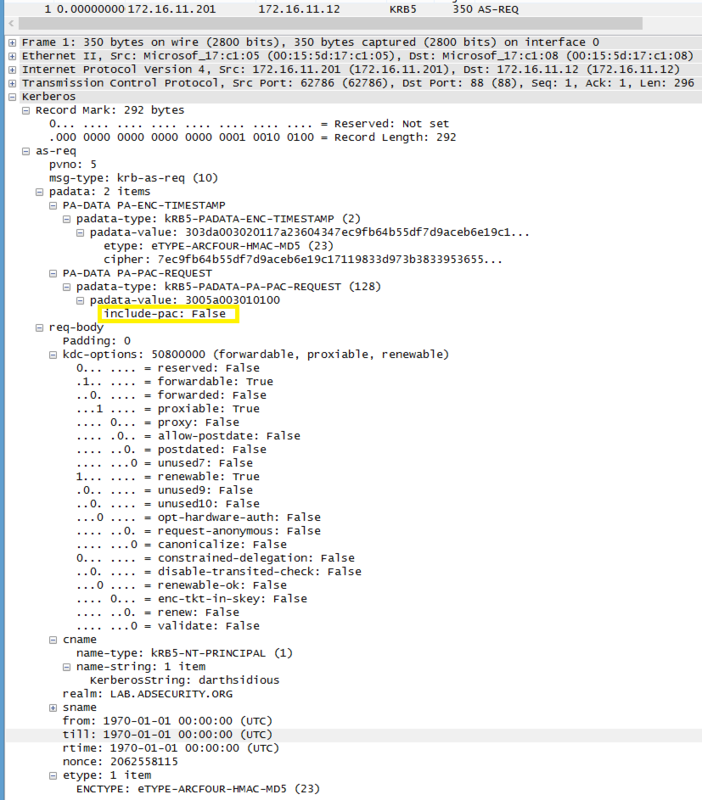 Stage 2 Packet #2: Kerberos Error response due to “eRR-ETYPE-NOSUPP (14)” error due to the request including encryption type (etype) eTYPE-AES256-CTS-HMAC-SHA1-96 (18). This is interesting since the TGS-REP shows this etype is indeed supported. Stage 2 Packet #3: The second TGS-REQ for the Admin$ share on the DC. Stage 2 Packet #4: The TGS-REP to the second TGS-REQ for the Admin$ share on the DC. 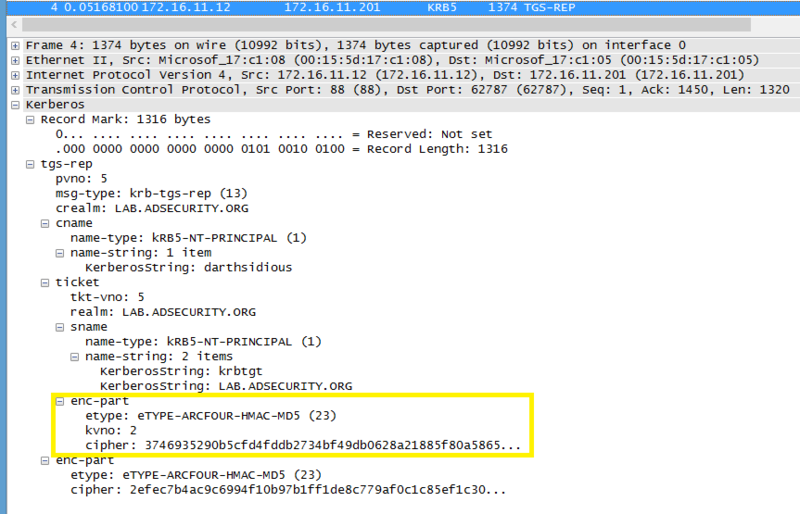 From here, the user has a valid TGS for the CIFS service on the DC and can use it to access the admin$ share via SMB.